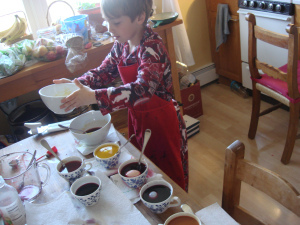 Natural Easter Egg Coloring Update: How-To, Cheap Tricks…Canned Beets? 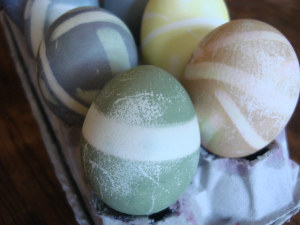 This reblog comes because we’ll be doing our eggs tomorrow…and and testing a few new vegetable colorants. Expect a fresh post with even more natural coloring options soon! 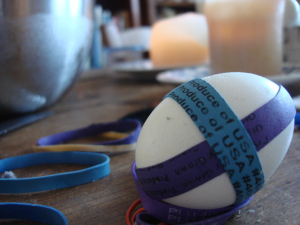 We colored our Easter eggs the natural way again this year and learned a few things we want to share with you! In this post you will find the basic how-to for red-pink, yellow, and violet blue and you can make your own color blends from there, plus get some ideas for making it easier and more decorative. And we’ll answer the question: Can I use the juice from canned beets? We got some interesting colors and cool effects! Click here for the original post from last year or just follow these simple instructions. Scroll past the recipe for more ideas, advice and suggestions!